After God rejected the foolish and corrupt Saul, Israel's first king, He sent Samuel to Bethlehem to anoint David as the successor. The transition would be gradual however. 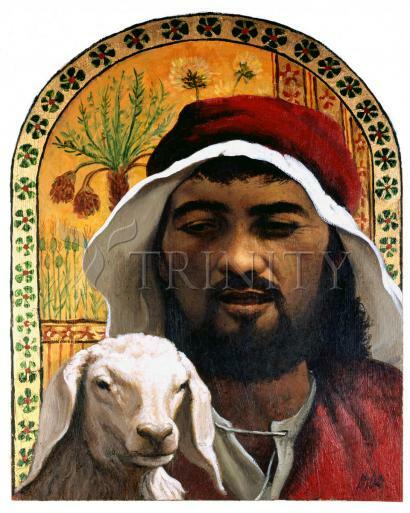 David returned to caring for the sheep, but "The Spirit of The Lord came upon David from that day forward," and "The Spirit of The Lord departed from Saul." David and Goliath - Story Summary: The Philistine army had gathered for war against Israel. The two armies faced each other, camped for battle on opposite sides of a steep valley. A Philistine giant measuring over nine feet tall and wearing full armor came out each day for forty days, mocking and challenging the Israelites to fight. His name was Goliath. Saul, the King of Israel, and the whole army were terrified of Goliath. So David volunteered to fight Goliath. It took some persuasion, but King Saul finally agreed to let David fight against the giant. Dressed in his simple tunic, carrying his shepherd's staff, sling and a pouch full of stones, David approached Goliath. The giant cursed at him, hurling threats and insults.